Try to eat no more than 1,500 to 2,000 calories a day. Increase the amount of exercise you do. Don’t give up. Most smokers need several tries to quit. See each attempt as bringing you one step closer to successfully beating the habit. Yoga helps to keep us away from the stress – Moving with the breath, in other words linking expanding movements with the breath in, and softening or contracting movements with the breath out, starts to create a dynamic which calms the nerves and moves that stress energy out of the body. Yoga blasts belly fat – By strengthening the large muscle groups in the body, such as the quadriceps and gluteal, yoga gets your body kindling more calories, meaning you are less likely to store them as fat around your middle. Yoga “opens” the heart – Yoga, on the other hand, is the exercise of attaching what you learn on the mat with what you do off of it. As you become more mindful about your body, your breath, your language in challenging poses, you become more aware of your own perceptions of the world. Yoga transforms your diet – A healthy diet (heavy on colourful fruits and veggies, light on red meat, and fibre and heart-healthy fish, sodium, saturated fat, sugar, and processed foods) is hazardous to heart health, and studies have linked regular yoga exercise to careful eating. 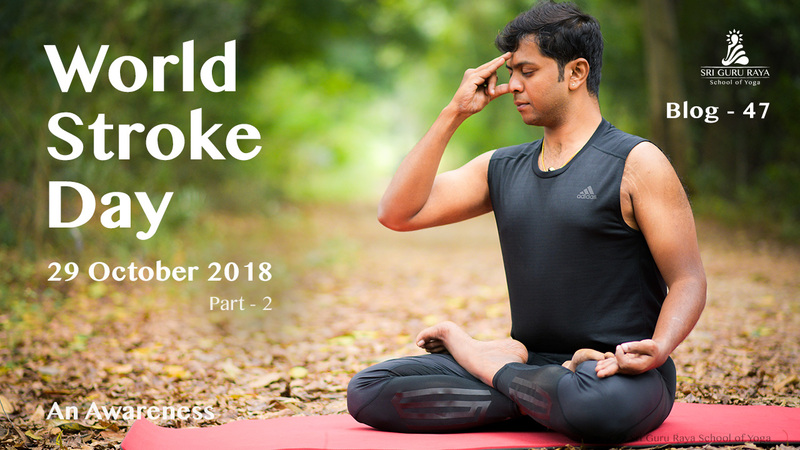 How YOGA helps us to recover from Stroke? Yoga is a system of self-development that has evolved over many thousands of years since its inception in ancient contemplative societies in southern Asia. Yoga aims to integrate mind and body. This is appropriate for survivors, as strokes have consequences for both physical and mental function. Yoga’s holistic approach views health as relating to one’s mental, physical and social potential, not merely the absence of disease. Fatigue and low exercise tolerance often make it difficult for stroke survivors to participate in standard modes of exercise. But yoga can be individualized and adapted to suit most individuals despite their movement abilities. In fact, yoga can be more accessible to those seeking to keep active after stroke than other forms of exercise. With this level of accessibility, yoga can increase confidence and promote participation in other forms of physical activity and daily activities. A study from the United States, for instance, found eight weeks of yoga improved stroke survivors’ balance and reduced their fear of falling. Beyond movement and physical activity, yoga involves contemplative practices such as meditation. This means paying attention to breathing and body sensations while moving or keeping still. Regular meditation has been shown to promote mindfulness, a skill for purposefully maintaining attention in the present moment in an open and accepting way. Mindfulness training has been associated with several benefits, including improved emotional well-being and cognitive function. Feeling in control and able to cope provides a sense of self-mastery, leading to better stress management and emotional well-being. Yoga can help us develop the skills necessary to remain in control of our physical and mental reactions when we face challenging situations. Yoga involves a combination of poses, meditation, breathing, and relaxation techniques. Yoga is therapeutic for stroke recovery because of the intense focus and attention required. Each movement is (ideally) very deliberate, and that extra stimulation can really wake up your brain. Then, the rewiring process begins – perhaps more intensely than regular rehab exercise because of all the extra awareness and attention. Yes, all that good stuff comes from yoga! Yoga helps the stroke survivors to improve on their pain, neck range of motion, passive hip range of motion, upper extremity strength, and endurance. That’s a lot of benefits from yoga sessions. And it’s a great reason to start your yoga practice right now. Yoga Can Unintentionally Help with Your Gait! The mobility issues that stroke survivors face often lead to balance issues and poor gait (your manner of walking). Researchers discovered that yoga helped stroke survivors improve both balance and gait speed. Yoga is also great for stroke recovery because it can be tailored to almost any stage of recovery. 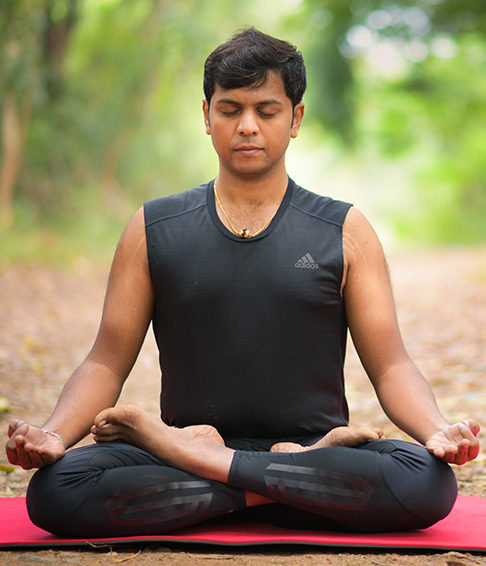 Even if you have paralysis, you can start with Meditation and Pranayama. We all know that breathing is good, especially when we’re exercising. This is obvious. A mistake that stroke survivors often make is holding their breath while they exercise. Because movement requires so much more effort than before, it can cause you to subconsciously hold your breath while you do your rehab exercises – NOT GOOD! Luckily, yoga places a heavy emphasis on linking breath to movement. Breathe in, move one way. Breathe out, move another way. This extra emphasis on your breath will help you remember to breathe when you’re doing rehab – and when you’re going about your daily life!